(JTA) — Israeli Prime Minister Benjamin Netanyahu and Palestinian Authority President Mahmoud Abbas have agreed “in principle” to meet to discuss restarting peace talks in Moscow under the auspices of Russian President Vladimir Putin, the Russian Foreign Ministry announced. Russian Foreign Ministry spokeswoman Maria Zakharova said Thursday that no date has been set for the meeting, The Associated Press reported. 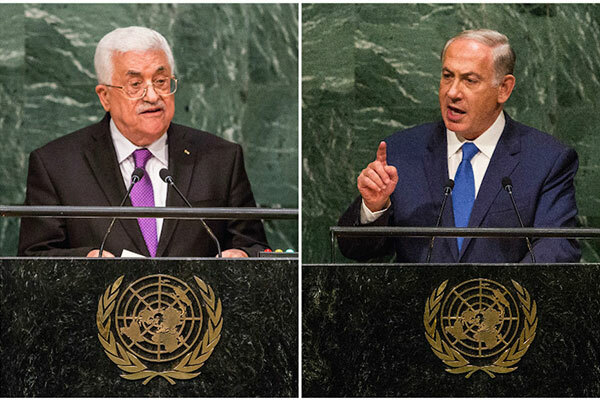 Abbas and Netanyahu have been trading barbs in recent days over who canceled previously scheduled meetings and why. Peace talks have been on hold for more than two years. 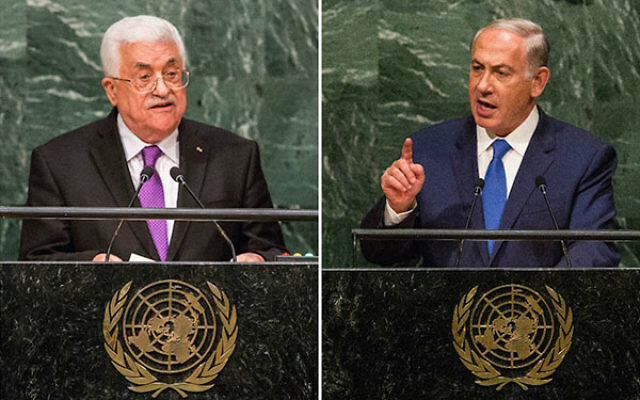 Abbas and Netanyahu last met officially in 2010, but it is believed that since then they have held secret meetings. Netanyahu in a meeting Monday morning with Russian Deputy Foreign Minister Mikhail Bogdanov, Putin’s special envoy for the Middle East, discussed the Putin proposal to host a face-to-face meeting between Netanyahu and Abbas in Moscow, according to a statement from the Prime Minister’s Office. Netanyahu is reviewing the proposal and considering the timing of a possible meeting, according to the statement. He told Bogdanov that he is always ready to meet with Abbas directly and without preconditions. In late August, Abbas’ office said the Palestinians were ready to participate in a peace initiative. Abbas said Tuesday that a meeting scheduled in Moscow this week had been delayed by Israel. No agenda has been set for a Moscow meeting and experts say it seems unlikely that there will be a breakthrough.